Hi there. We’re BeFitted. We make beautiful wedding dresses even better by custom altering them, just for you. A boutique bridal and special occasions alterations company in Old Town Alexandria. With 30+ years of private tailoring expertise, we are the most specialized and trusted name in Northern Virginia and Washington, D.C.
At BeFitted, we’re of the mindset that wedding planning doesn’t have to be stressful. We believe in having fun, being honest, and celebrating all of the kickass ladies we get the pleasure to work with. We've been professionals in the tailoring game for 30+ years. From sewing a button to building a dress from a sketch - we’ve done it all. Our clients <3 us (and we love them!) Across almost every major reviewing platform, we are consistently rated at the top. We’re proud to be #1. All of our fittings are private affairs, meaning you get privacy and our uninhibited attention. All scheduled ahead of time online. Start your dress journey by booking a private fitting online using the button below. BeFitted is your one-stop-shop for all things dresses. 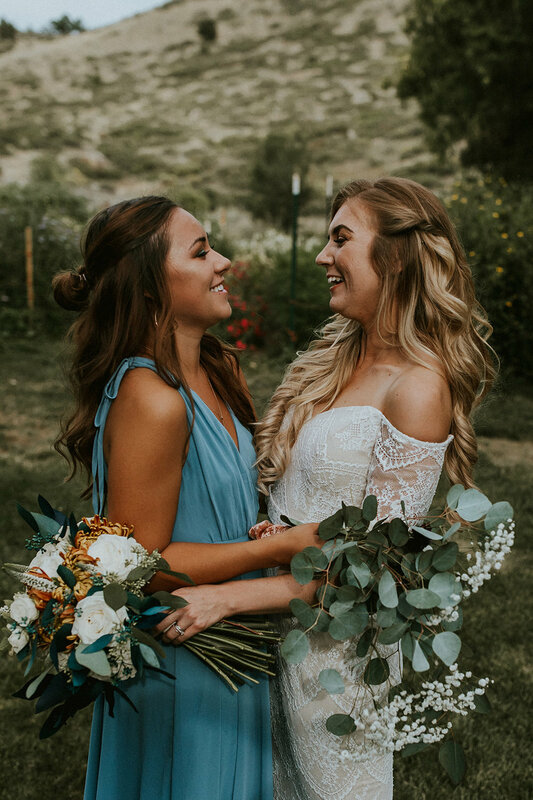 Whether it's fitting a dress off the rack or tailoring a dress from a boutique, BeFitted is the only bridal alterations firm in the area that specializes in bridal only. We’ll upgrade your wedding dress into your dream dress. A beautifully-fitted dress will fall flat without the proper finishing touches. BeFitted offers steaming and pressing for wedding dresses, veils, and formal gowns, smoothing out those wrinkles that detract from your perfect look. Weddings, galas, showers, parties - clients with formal evening or cocktail wear can get fitted for these special events in life. We offer alterations for Bridesmaids, Maids/Matrons of Honor, and Mothers of the Wedding! After the party is over, BeFitted can revive the beauty of your white dress by dry cleaning your dress and boxing/preserving it using our special acid-free tissue paper and preservation methods. Diane and Michelle are passionate people who take a deep, genuine, loving interest in their clients. I looked forward to each of my appointments and was deeply touched at how readily they went above and beyond to help create my wedding look. BeFitted is by appointment only. You can see all of our most up to date availability and appointments by clicking on the schedule below. If you have a special request - like a tight deadline or some major customization - complete this form below! We are located right outside Washington, D.C. in Old Town, Alexandria. There is paid, street parking right outside of our boutique. We are about a 10-minute walk from the King Street and Eisenhower Avenue metro stations! © 2019 Befitted tailoring co.